At a time when Gulf economies have been affected by declining oil prices, global and historic precedents illustrate the significance of entrepreneurship for economic development and diversification. The West has turned to an entrepreneurial economy from a managed economy, the BRICs (Brazil, Russia, India and China) have demonstrated their economic versatility by utilizing entrepreneurship as a means to promote business opportunities, and across developing countries, youth entrepreneurship is being promoted as the answer to the supply-demand challenge of employment with decent wages. The UAE has a young economy defined by a developing entrepreneurship ecosystem. The task ahead is to build local capacity and business from the ground up. This is essential for successful and sustainable diversification of the economy. This is also antithetical to the previous rentier model the Emirates relied on to drive growth, a strategy that has been well suited to an oil-driven economy. In order to engineer the transformation of the oil-driven economy toward a knowledge-based and entrepreneurial economic model, three core components must be considered: getting corporates involved, investor participation, and community education. Traditional venture capital is no longer the only way to raise money for startups. As many as 68% of the top 100 companies from the Forbes Global 500 are engaging with startups, with the majority (61.7%) of the startup companies mentioned by The Wall Street Journal under The Billion Dollar Startups Club having raised significant funding from at least one corporate entity, not including investment firms and banks. It is not only leading companies such as General Electric (GE), Oracle, and Google who have taken a proactive interest in startups; some of the traditional corporate players have explicit methods through which they may invest in startups on a large scale. Let’s take for example the emerging industries in the region: energy, aviation, logistics, finance and health. The UAE has a rich pipeline of influential corporate leaders who own these competencies. They have unique access to market knowledge, a huge consumer base and domain understanding. However, the immense size of many of these businesses limits them from innovation. They are battleships that cannot change course on a dime. This is in direct contrast with the more agile and innovative tech startups, which can pivot and adapt at lightning speed; however, they cannot grow without domain expertise and insights or access to a large consumer base to test viability. 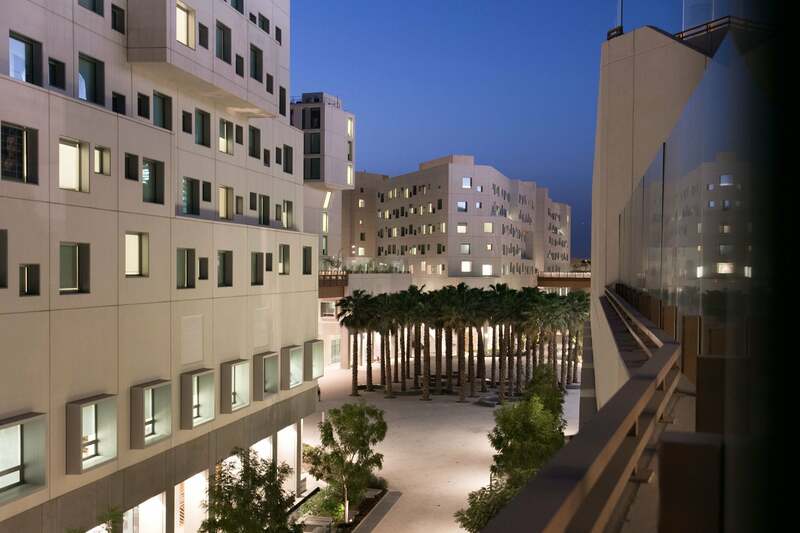 The startAD incubator at NYU Abu Dhabi has been built to create a platform for mutually beneficial exchange between such corporates and startups, allowing corporations to innovate effectively through startups, and encouraging startups to validate their business concepts through corporations. By connecting entrepreneurs with leading UAE industry players, we offer the chance to engage with a network of mentors as well as opportunities for thorough business viability testing. UAE corporates will benefit in the long term, as startups help them address new business challenges and also contribute to an increasingly diverse entrepreneurial economy through job creation and technology development. Local investors who invest outside the UAE and MENA region must take encouragement from the resurgent deal flow in the region. The emergence of startups in the UAE alone has exploded over the past several years as evidenced in the latest reports from ArabNet and MAGNiTT. A stronger local investor community starting from seed stage through to Series, A, B and beyond is crucial to building UAE’s entrepreneurial economy. The time has come for local investors to look locally before investing their money in Silicon Valley or offering to fund European startups. Local businesses are, after all, what will form the basis of a sustainable and successful economy. Not only will local businesses provide profitable returns, they will also keep the investors’ money circulating where they can see the benefit it is bringing about. It is no secret that the UAE is home to a concentration of high net worth individuals. The UAE also has a long tradition of traders and business institutions that can and should look to invest in the future of their country. Local investors have to embrace the long-term view of investing locally and in high technology ventures, rather than putting their money in lucrative alternatives such as real estate and other tangibles elsewhere in the world. This process appears simple on its face, but harder to execute in reality. Innovators in the UAE began by thinking they could borrow the concept of accelerators and incubators from the West and apply the same formula here with the same success. However, this practice becomes far more complex when dealing with an emerging ecosystem. The formula from the West is not a replicable, out-of-thebox solution in an emerging ecosystem. The truth is that what works in New York City or London will not necessarily work for Abu Dhabi. To enable the organic growth of the entrepreneurial economy in the UAE, a holistic approach needs to be adopted: one that works on building capacity in the region. Over the past few decades, entrepreneurs and venture capitalists have distilled learnings that significantly improved the prospects of success for aspiring entrepreneurs. Internalizing the science and process of entrepreneurship has resulted in a recipe to create replicable, scalable and capital efficient ventures. This process can be taught by bringing together leaders, researchers, founders, and technology practitioners to engage with the aspiring entrepreneurs in the region. By educating people in digital and business literacy we want to enable the local community to not only set up their own ventures, but to be more effective in executing any project throughout their careers. With this, our hope is that the general population will become better informed, and their resulting experiences will instruct businesses on how to get things right in order to engineer the economy of the future. It is the pioneers in the local community that will lead the way in a “bottom up” approach. As much as government leaders can infuse capital into this space, the transformation will not be truly effected without the community of existing and aspiring entrepreneurs taking ownership. It is their innovative projects that will grow the economy; and these ventures will help build the infrastructure for new businesses to expand through, and further the UAE economy.